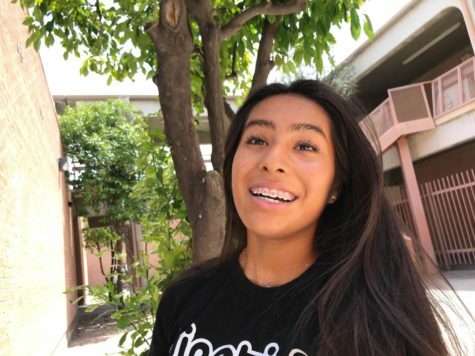 Marcela Marcial is a sophomore at Sahauro High School and it's her first year in The Paper Cut. She hates to sit at home all day and do nothing, so she is always doing something, whether it's swimming, hanging out with friends and family, or doing something with art. She loves to swim. She is on a swim team outside of school and on the Sahauro swim team. Her goal is for her family to be proud of her and have fun in life, like to travel the whole world and go to as many concerts as she can with her best friend. She's been to California and Hawaii so far and hopes do to more traveling. Marcela has two younger siblings, a brother and a sister. She and her siblings can speak both Spanish and English. Marcela is excited to work in The Paper Cut and hopes that people will love her work.